The blockchain is a decentralized database stored on multiple computers as identical copies. Being decentralized in nature, a blockchain is highly secure as no single user can alter or remove an entry in the blockchain since it would require changing all the nodes, which is practically impossible. Due to its highly secure and encrypted nature, blockchain technology has been used as the foundation for world’s most popular cryptocurrency – Bitcoin. But that’s not all there’s to blockchain technology. The applications of blockchain technology are limitless. According to statistics, the global blockchain market is expected to be worth $20 billion in the year 2024. Currently, 69 percent of banks are experimenting with blockchain technology to make their services more secure, seamless and transparent. 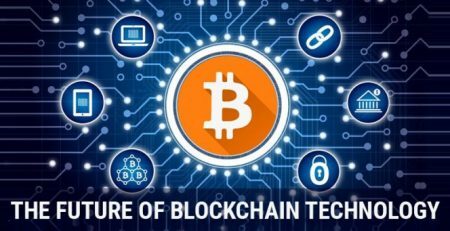 Despite the wonderful world of possibilities that the blockchain technology has opened up for us, most of us remain largely ignorant about the technology and its applications. The infographic “Blockchain: Growth, Use Cases & Facts.” uses simple language and graphics to explain how blockchain technology works in addition to sharing some insightful facts about the growth of blockchain. Designed to educate developers and business owners about the benefits of the technology, DCI has included examples of global giants that have integrated blockchain technology in their business. In addition, the infographic also captures major uses of blockchain in various sectors such as healthcare, banking, smart contracts, IOT, cybersecurity, cloud storage, etc. The Blockchain is a decentralized ledger of all transactions across peer to peer network. Cryptocurrencies work around the traditional financial system through the use of blockchain technology. Bitcoin is like digital gold, it is valuable because people agree to exchange it for other things of value. Walmart – Helps customers streamline the restocking process. Maersk – Streamlines and secures international shipping. British Airway – Manages data about flights between London, Geneva, and Miami. UPS- Increased transparency among all groups involved in the supply chain. FedEx- Launched a pilot program to help solve customer disputes.